We took a walk down that rock and roll underground. Working with a bold colour palette of metallic brights, the 'Espey' clutch in bronze crinkled material is the perfect cross between elegant and edgy. It features a brass box frame casing, with a faceted clasp, KOTUR's signature brocade lining and a 30 cm drop-in shoulder chain. 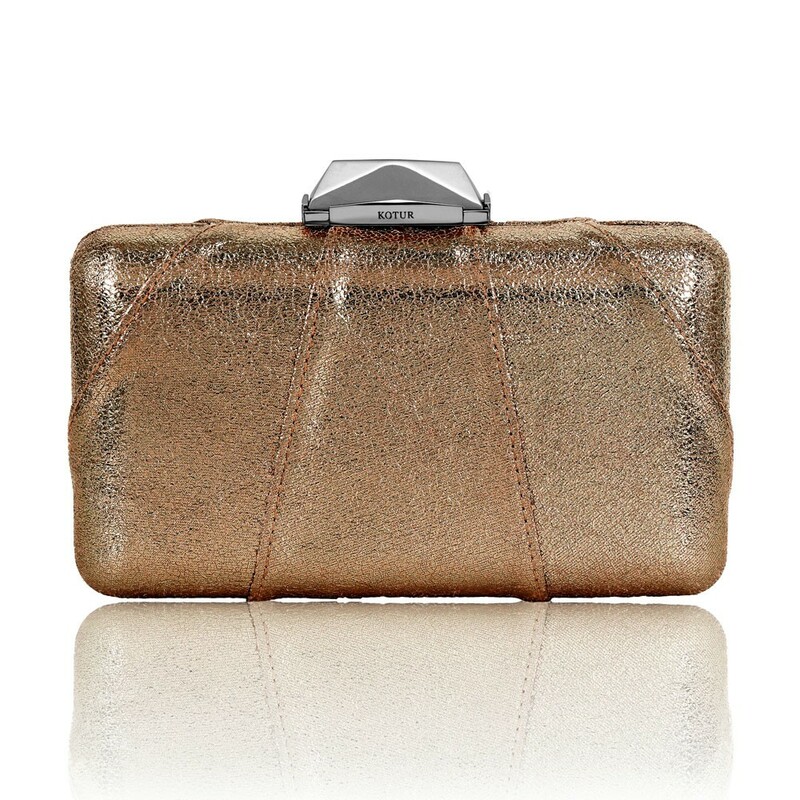 This compact minaudière will fit evening essentials, including an iPhone 6+.